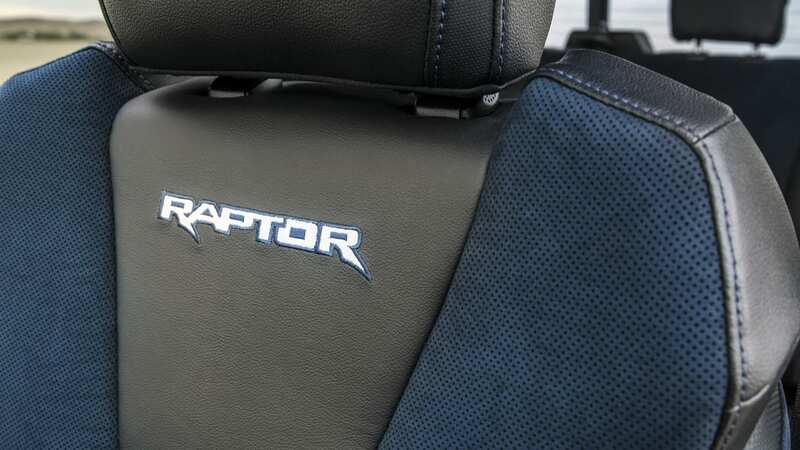 Well that didn't take long. 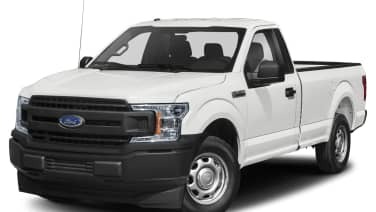 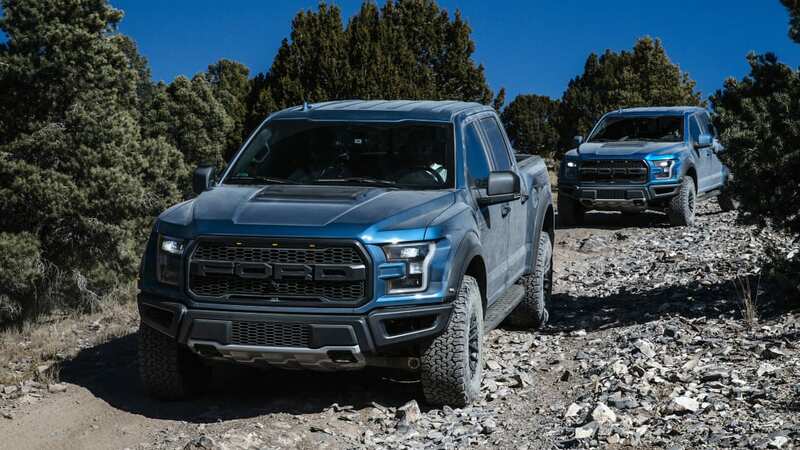 Last month we posted on the discovery that Ford's 7.3-liter "Godzilla" V8 designed for Super Duty pickups fits in the F-150 Raptor and Mustang. 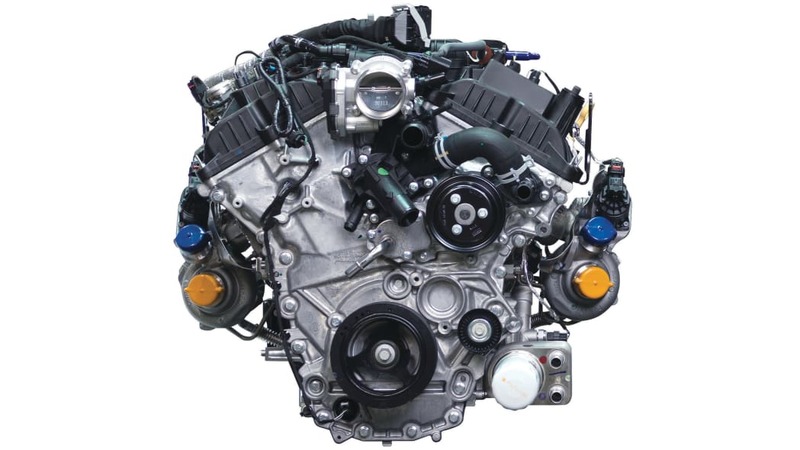 We didn't think the engine would end up in either bay as a factory option. 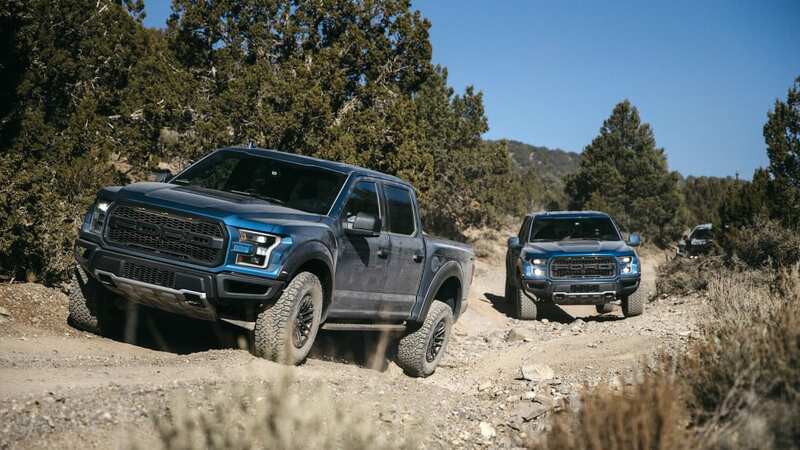 However, we noted that with the Hellcat-powered Ram Rebel TRX coming in two years, "We figure Ford has a larger engine in mind for the Raptor." 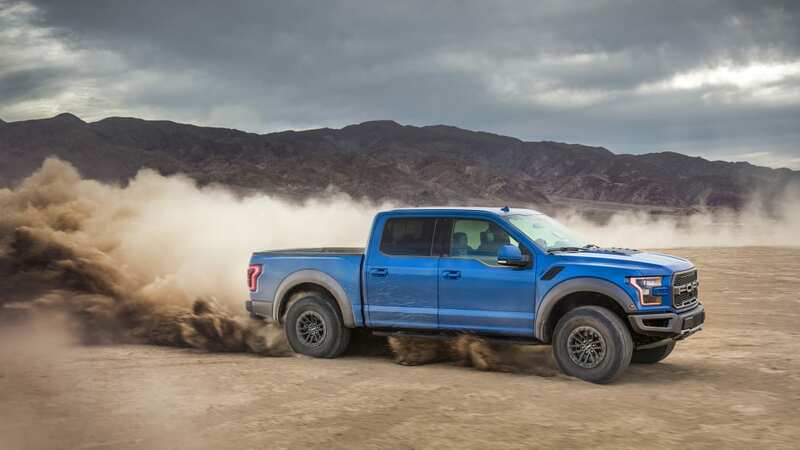 Citing "multiple sources," Car and Driver reports that Ford plans a Raptor featuring the Mustang Shelby GT500's supercharged 5.2-liter V8. 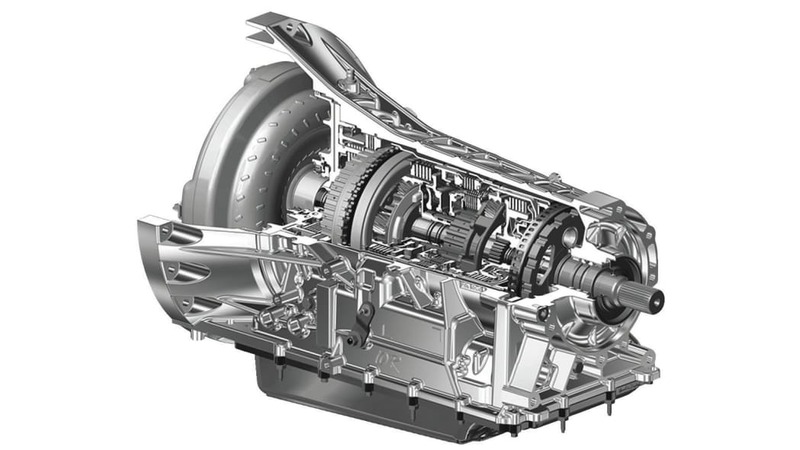 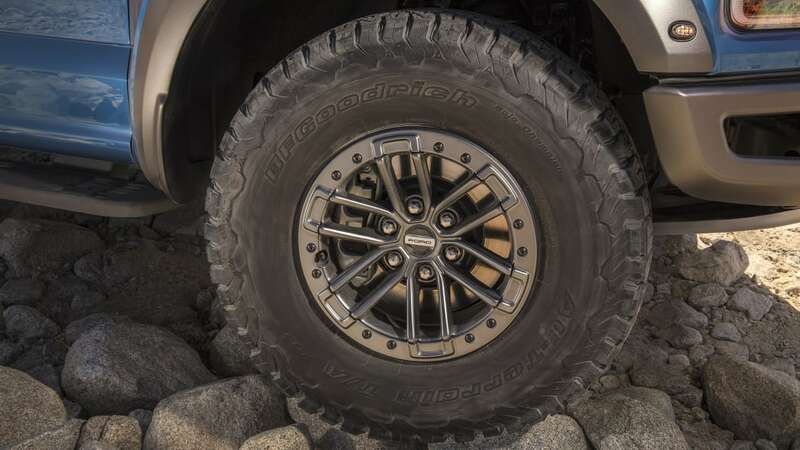 The Rebel TRX has been predicted to arrive in a Hellcat tune above 700 horsepower in 2020. 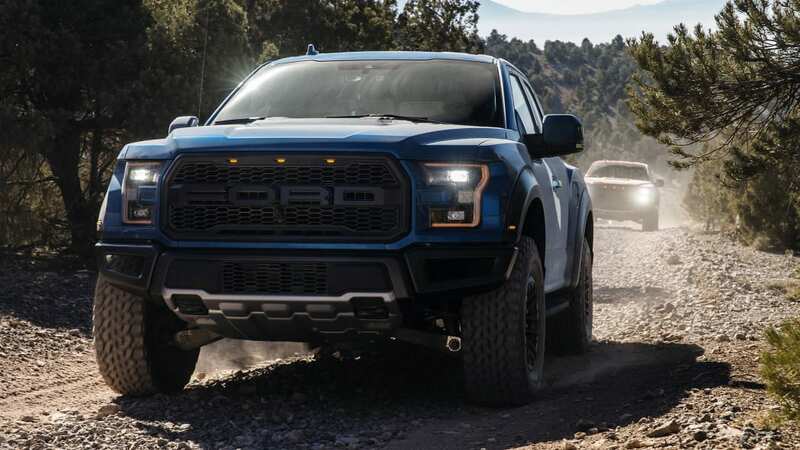 The GT500 will produce an unknown output beyond 700 hp as well, so it seems reasonable to expect a Predator-powered Raptor to pack the same ammunition. 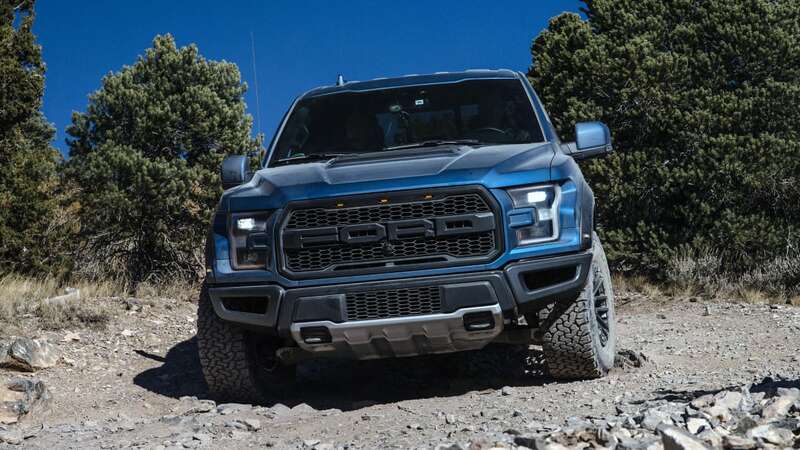 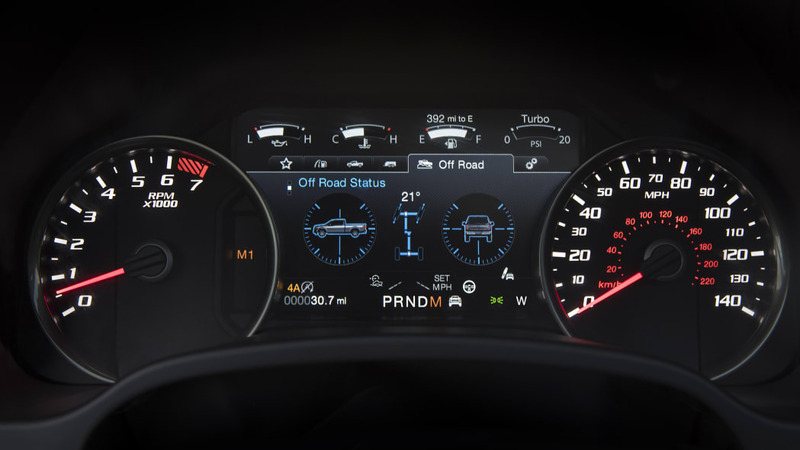 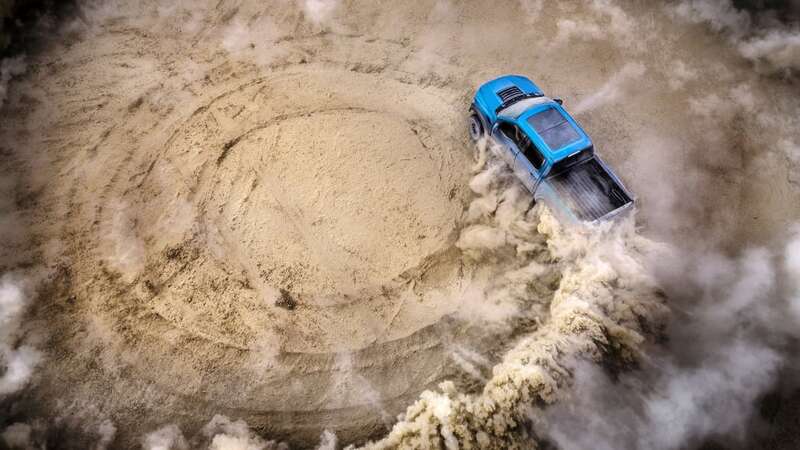 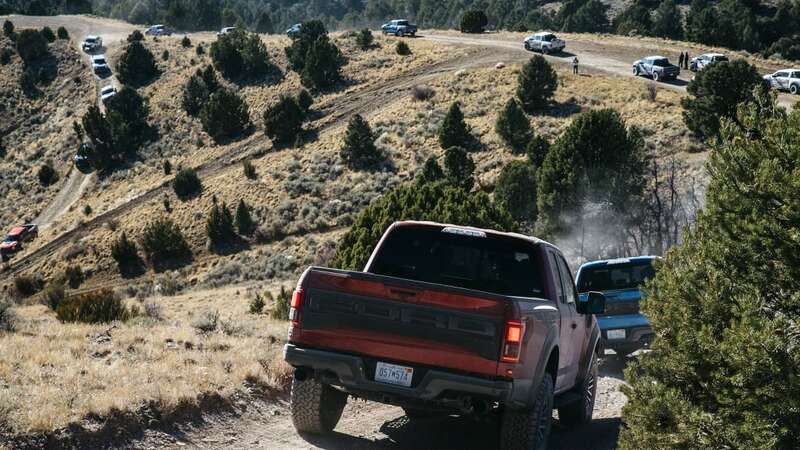 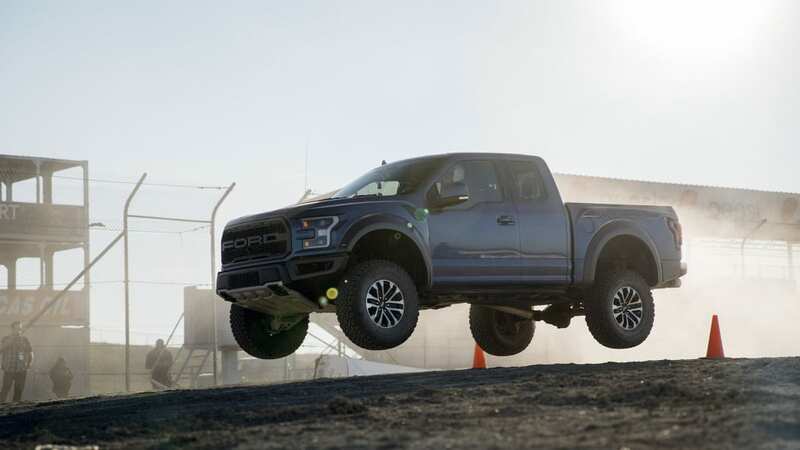 The other point in restoring V8 gumption to the Raptor would be celebrating the final year or two of the second-generation truck come 2021 or 2022. 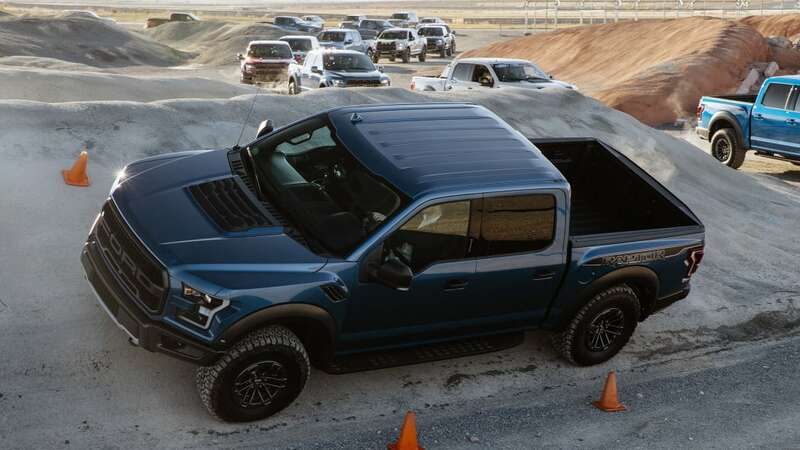 The next-generation F-150 is expected to arrive around 2022. 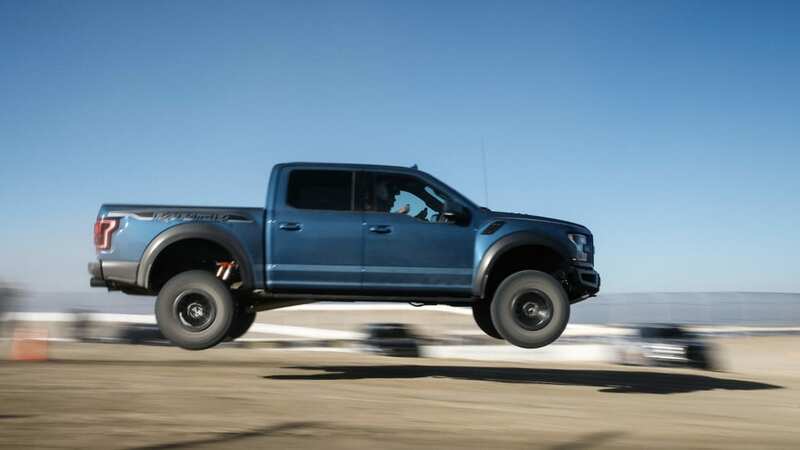 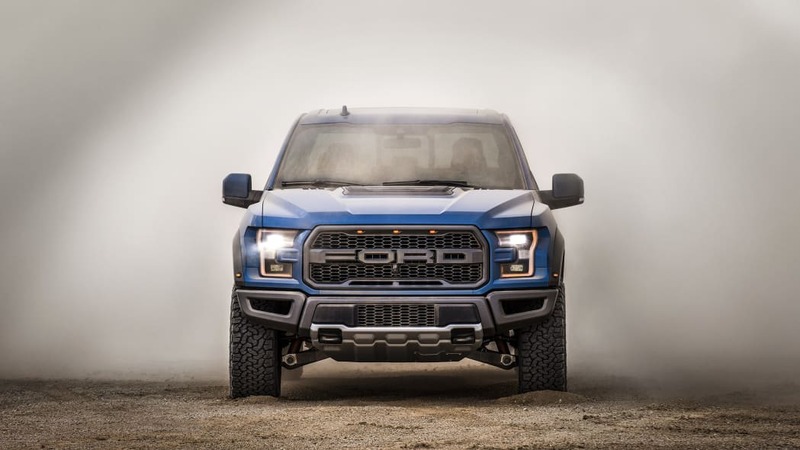 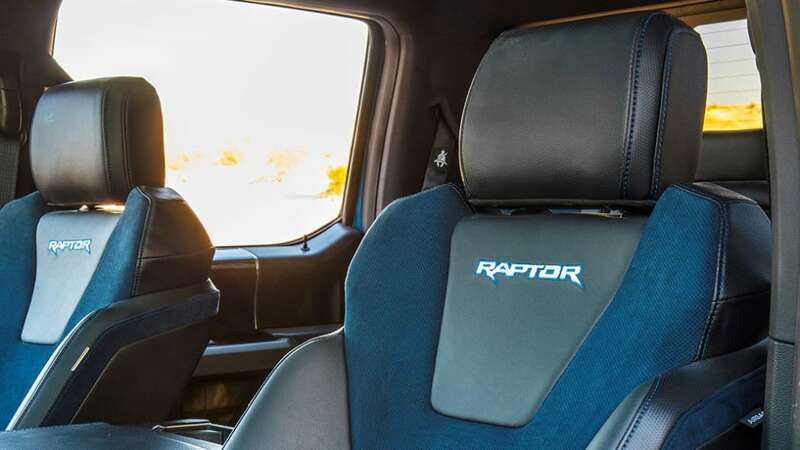 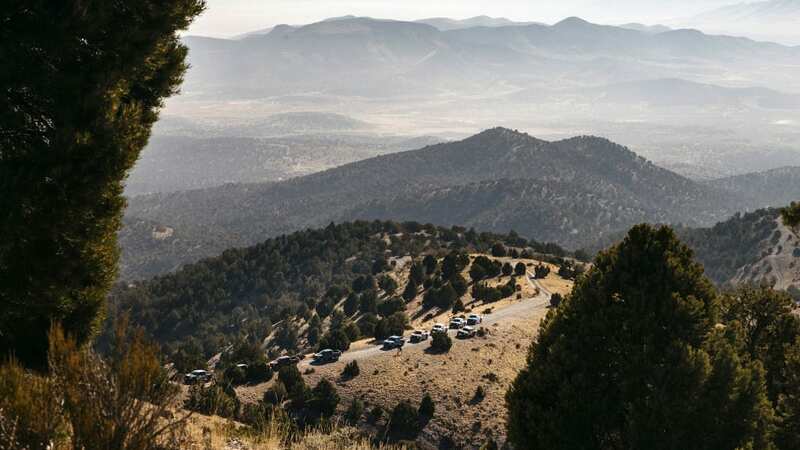 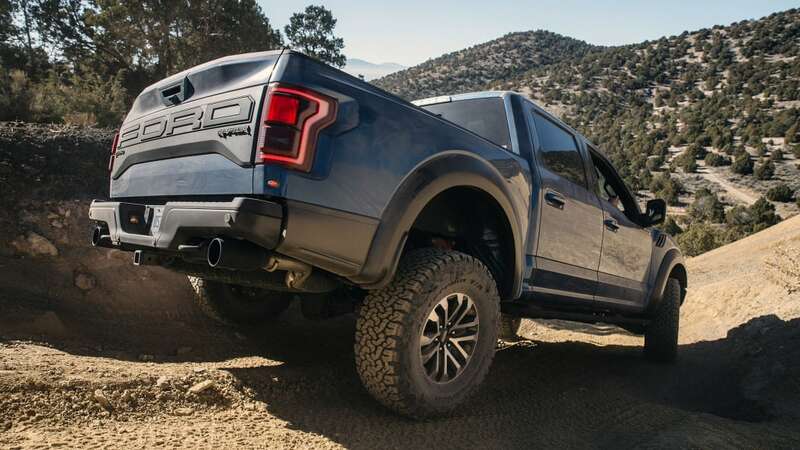 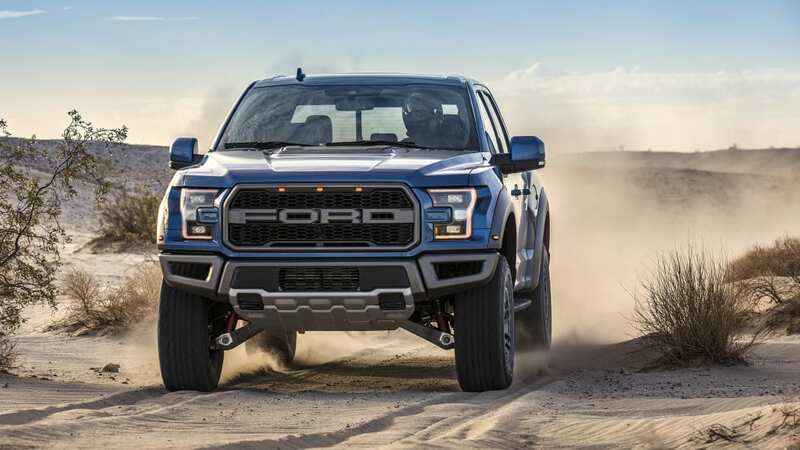 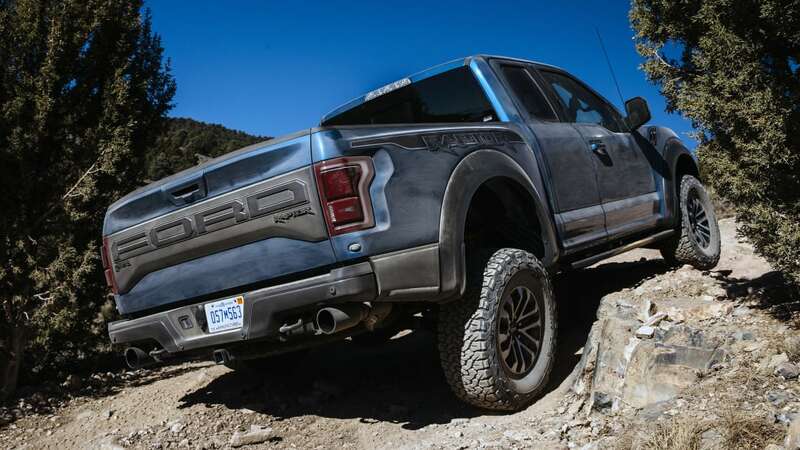 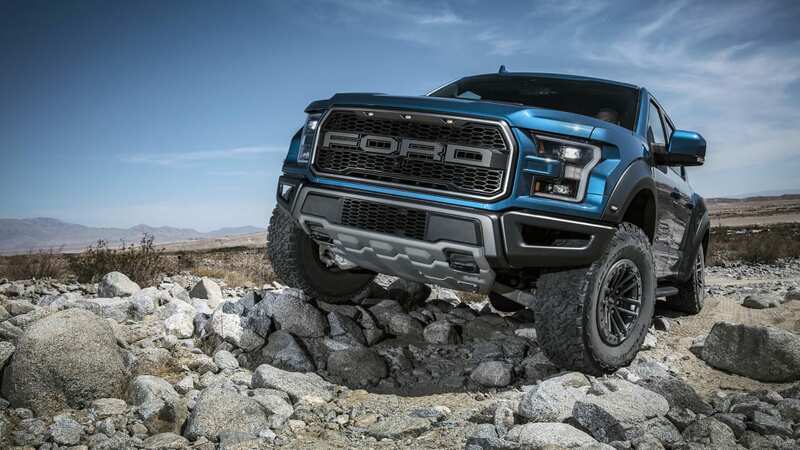 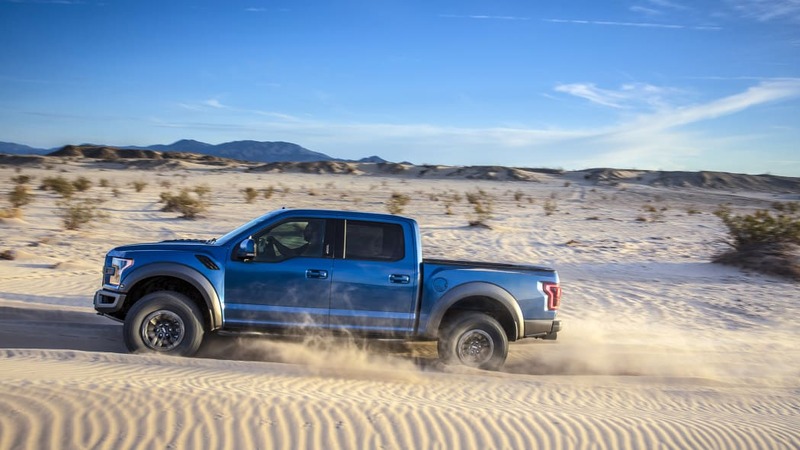 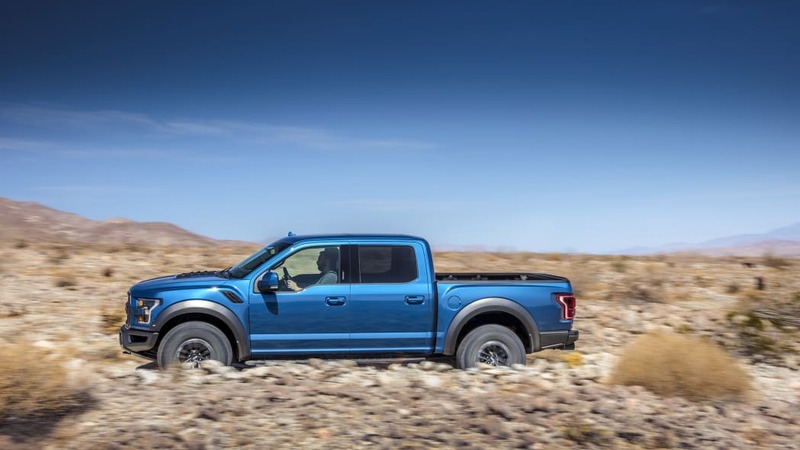 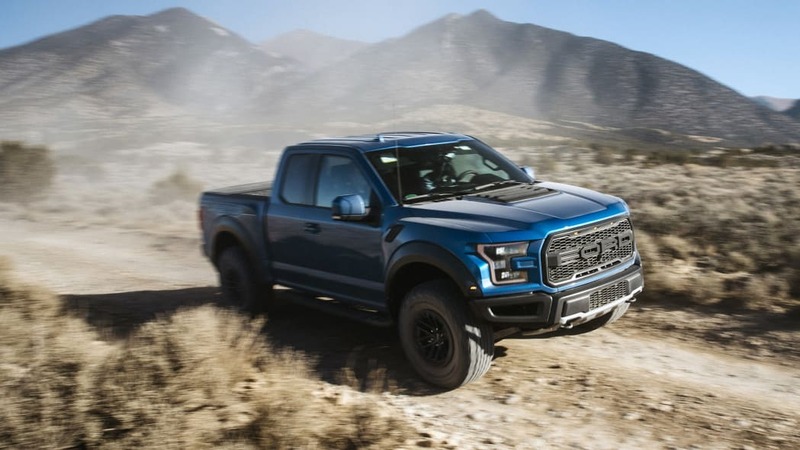 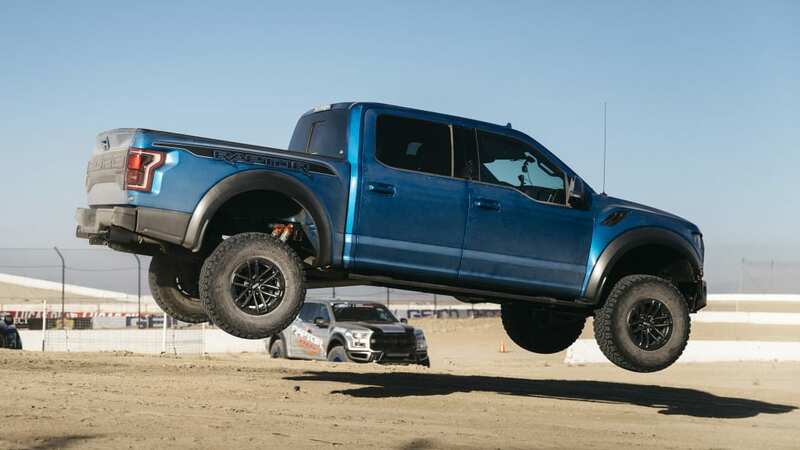 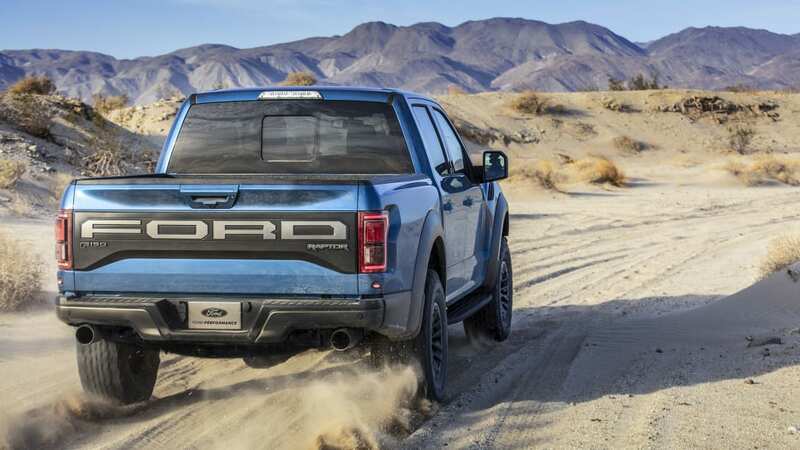 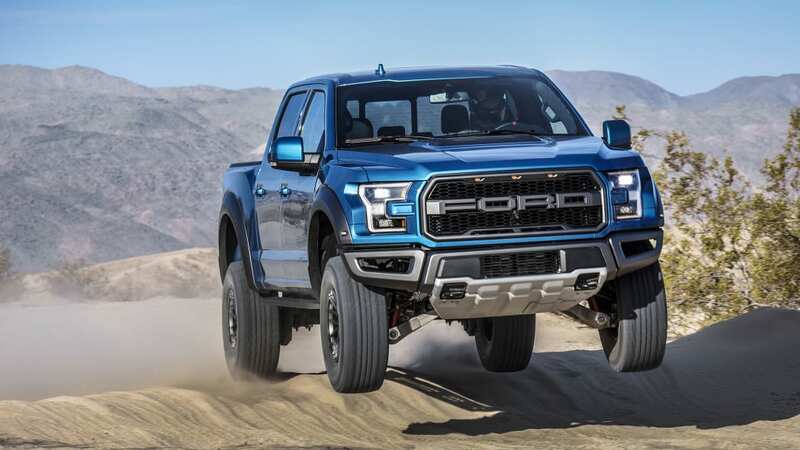 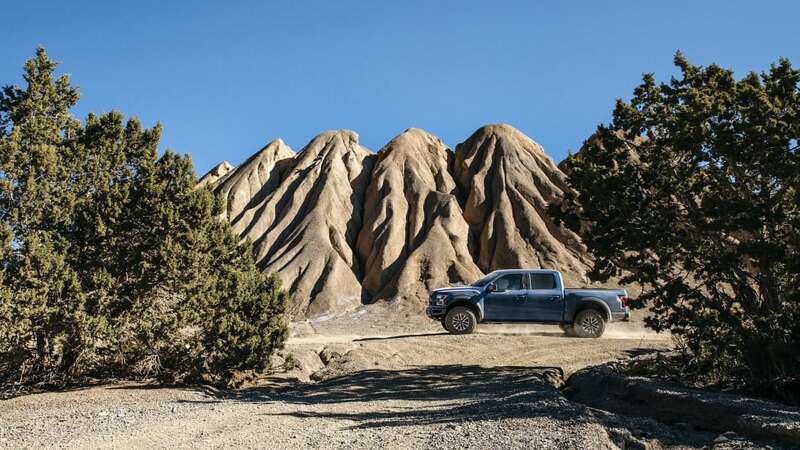 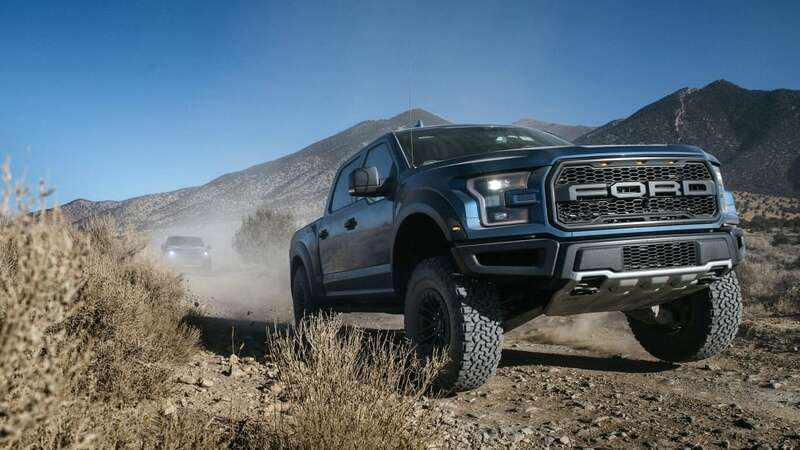 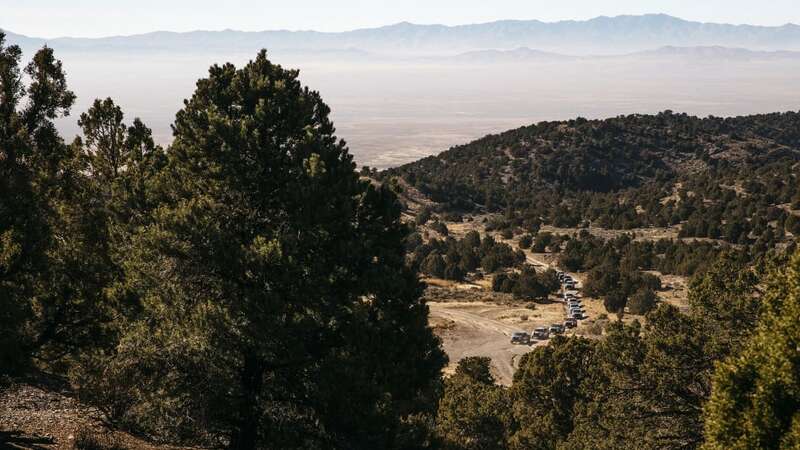 The current Raptor is powered by a 3.5-liter EcoBoost V6 with 450 hp and 510 pound-feet of torque, and it's been less than a week since we said of the pickup, "The best just got better." 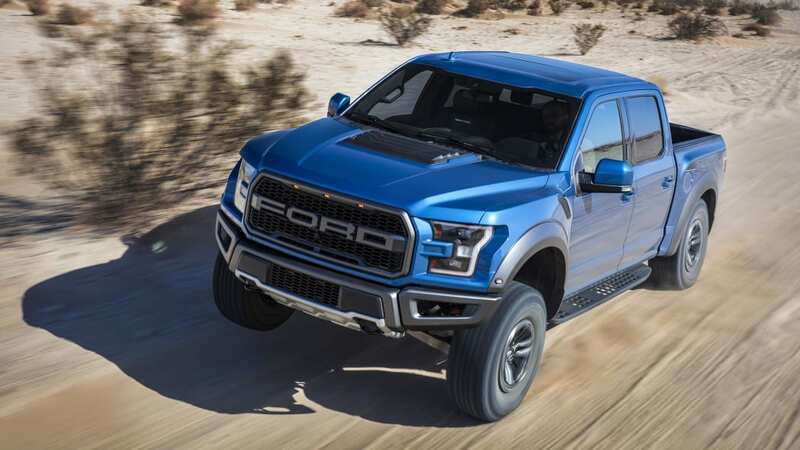 Even so, truck lovers who hate life without V8 power have grumbled louder than the Raptor's twin-turbo V6 for the last few years. 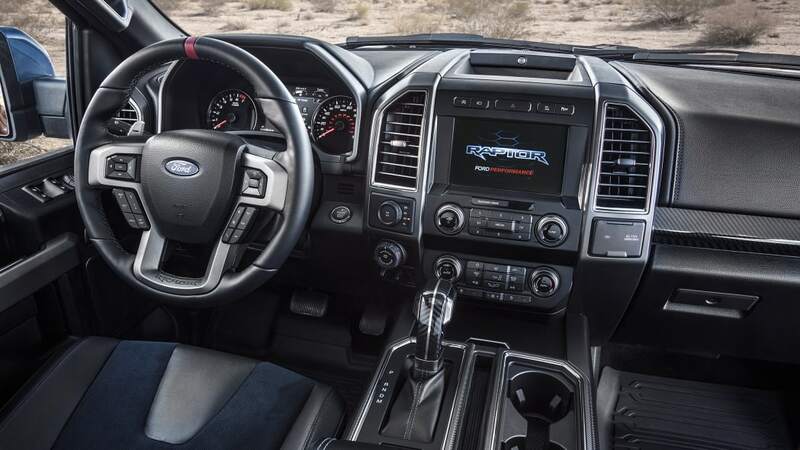 On the hope that CD's information is correct, we can already hear calculator buttons being punched as the eager scheme out monthly payments. 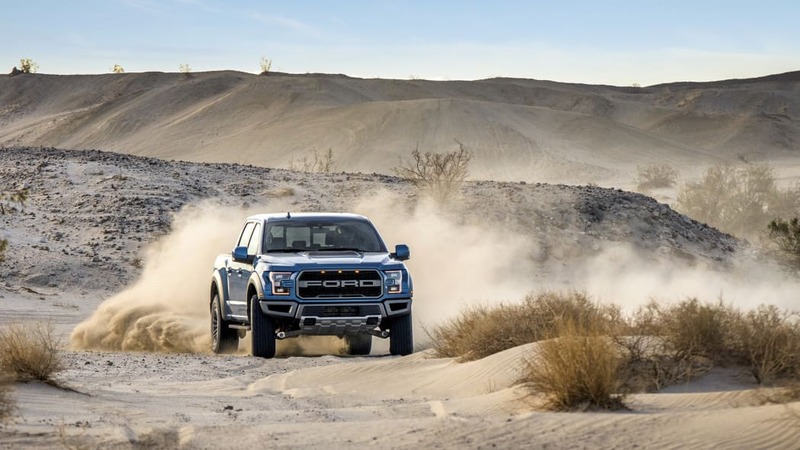 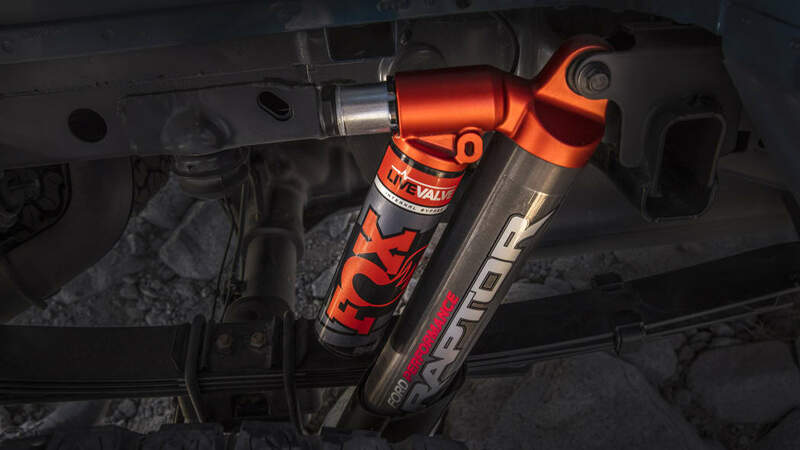 Speaking of which, adding Predator V8 and Raptor is going to equal a spendy way to romp in the dunes. 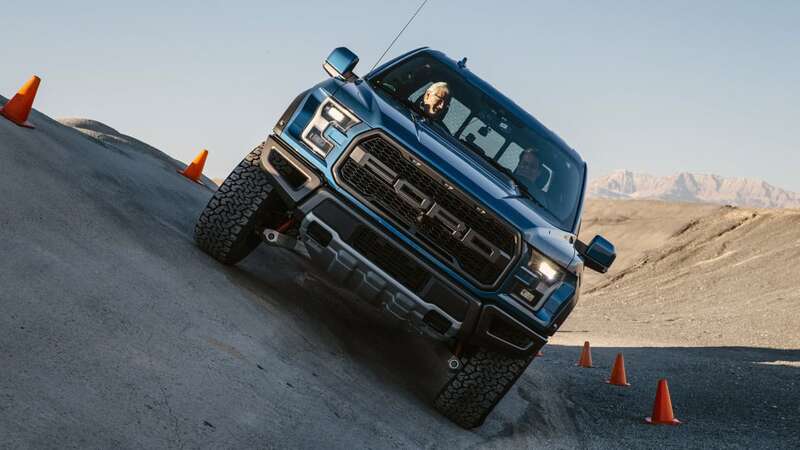 The Raptor's starts at $54,450 at the moment, CD thinks another two cylinders and 250 hp or more could stretch that to $70,000.